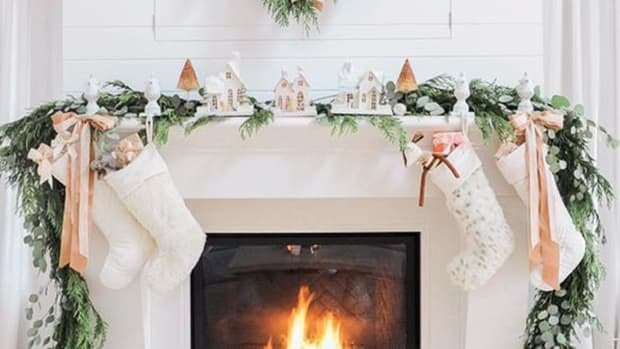 Traditionally, the twelve days of Christmas are celebrated from Christmas Day until the Epiphany on January 5. But who says we can’t toast to these next twelve days leading up to Christmas? 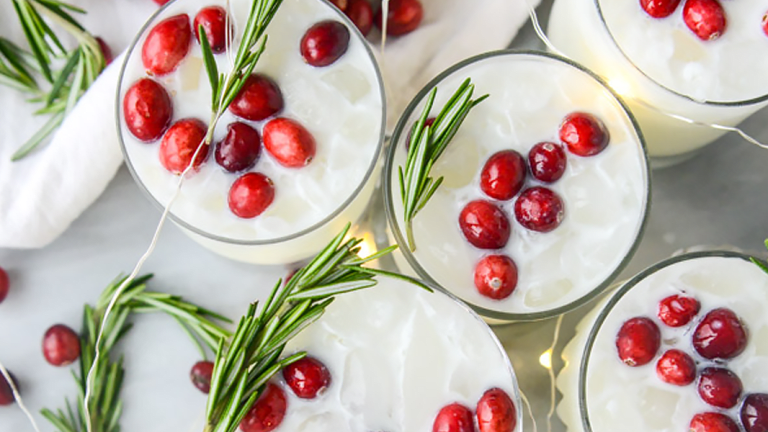 Whether you’re looking for a reward to a busy day of errand-running or the perfect cocktail recipe to wow your guests at your holiday get-together, here are twelve delicious recipes for adult beverages to help you enjoy twelve days of Christmas. I rely on citrus—all that immune-boosting vitamin D!—to get me through the winter. Blood oranges are an elegant change of pace from my usual clementines and lemons. 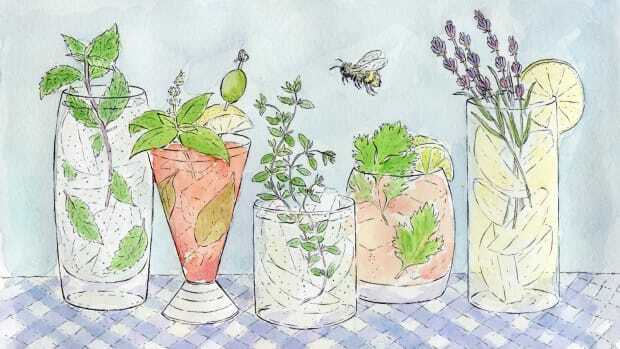 Pine-like rosemary and soothing honey carry gin well into cold weather. 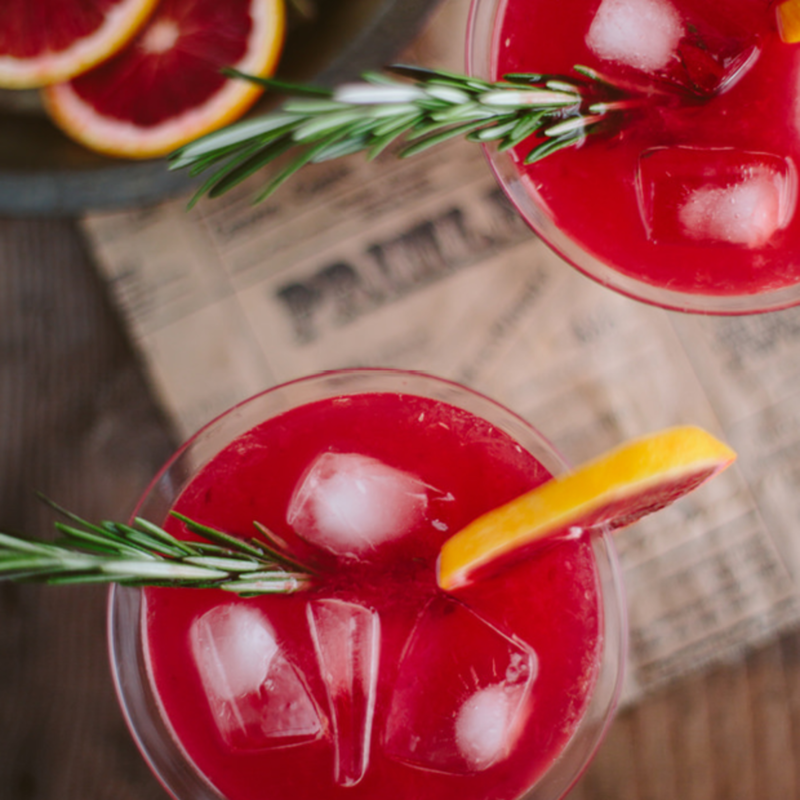 When you hear “sangria,” you might think of summertime, but this easy make-ahead recipe is the perfect punch for holiday parties where cups runneth over. 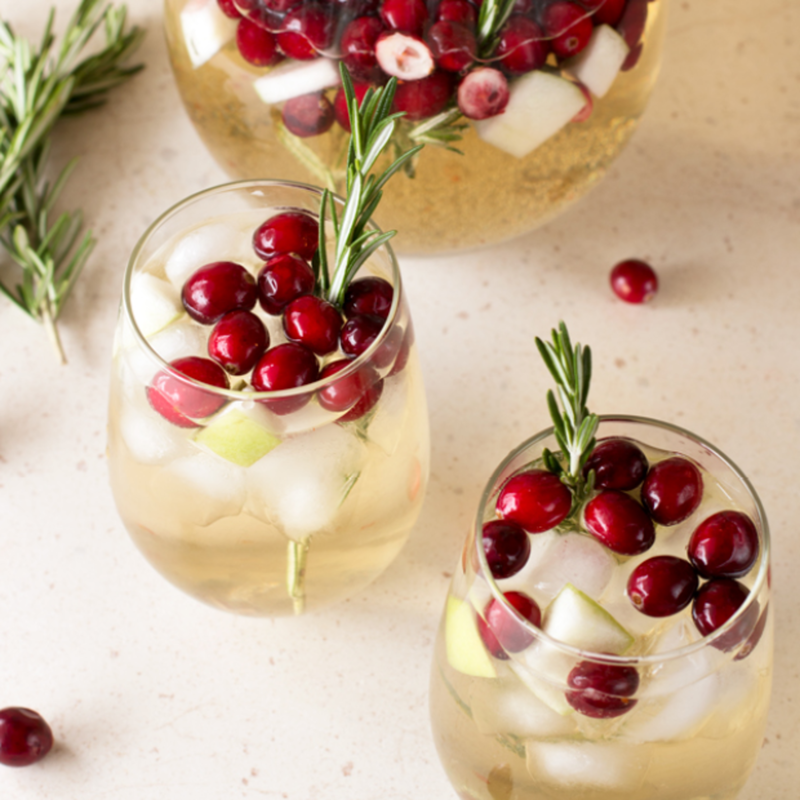 Fresh cranberries, apples, and rosemary transform Pinot Grigio into an ideal holiday pour. This deep drink will do the trick when you need something bold, warm, and comforting. If you like the savory taste of bourbon, this is the cocktail for you. 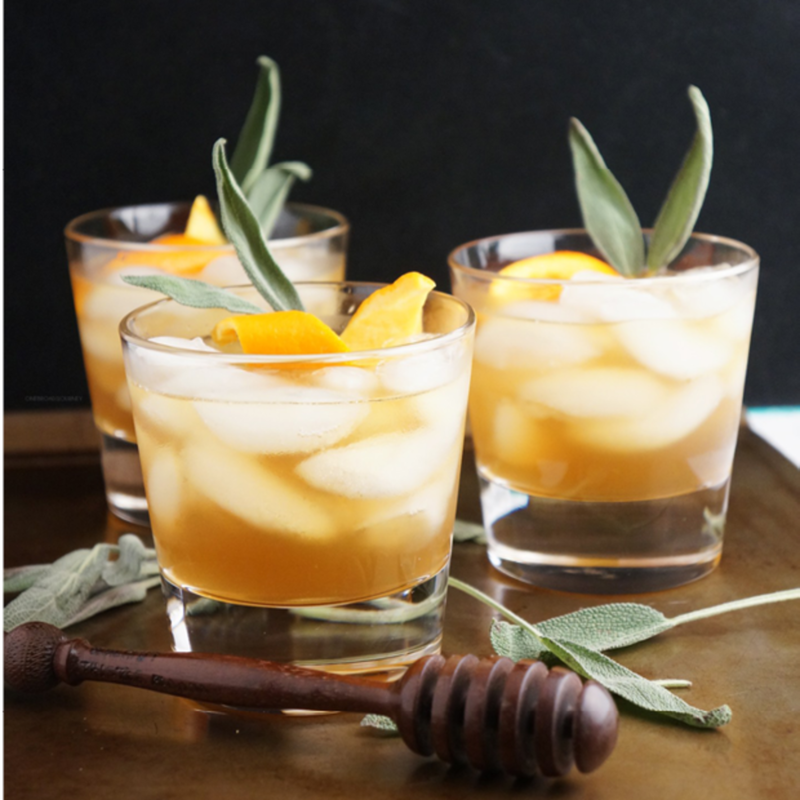 You’ll love the bite from the orange peel and the herby sweetness of the honey sage syrup. 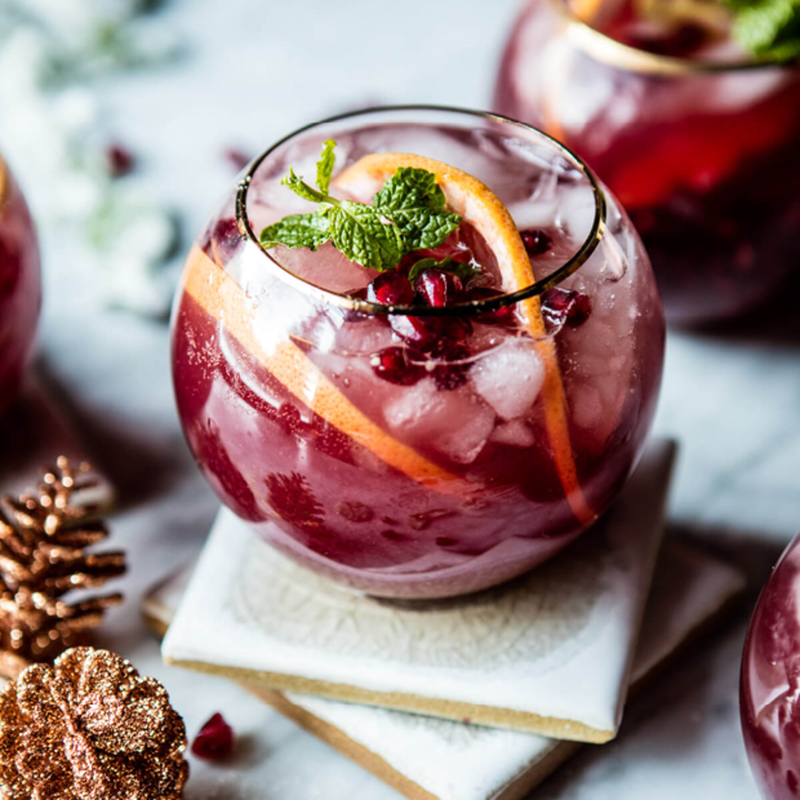 Sparkling clementine juice is the refreshing winter cocktail you didn’t know you needed—until this stunner came along. 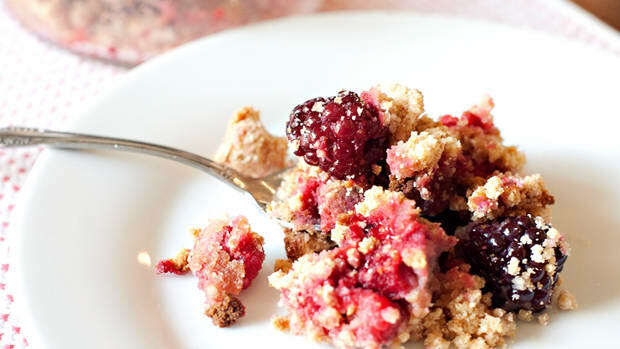 Add thyme and pomegranate seeds for a holiday hint of red and green, and enjoy! 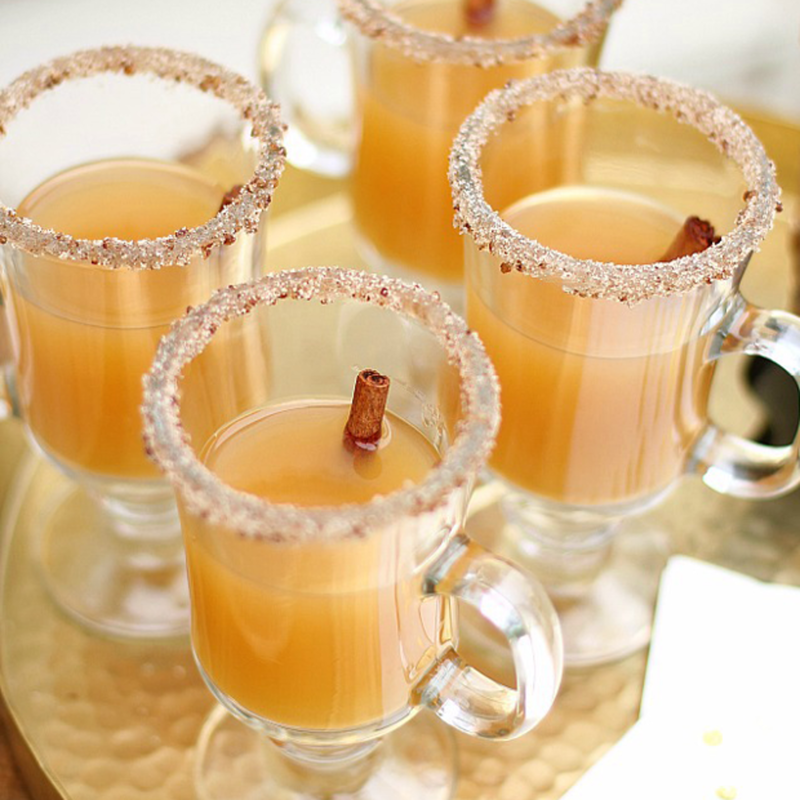 This hot toddy recipe is sure to warm you from the inside out. Warm apple cider is amazing on its own, but adding crisp citrus and warm bourbon in this recipe takes a traditional hot toddy to the next level. O, holy night! 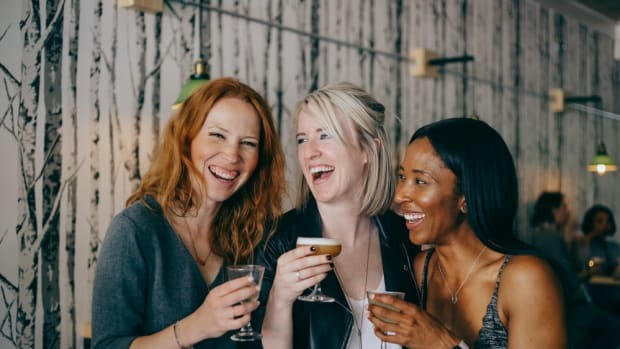 Who said margaritas are just for the beach? Not us! 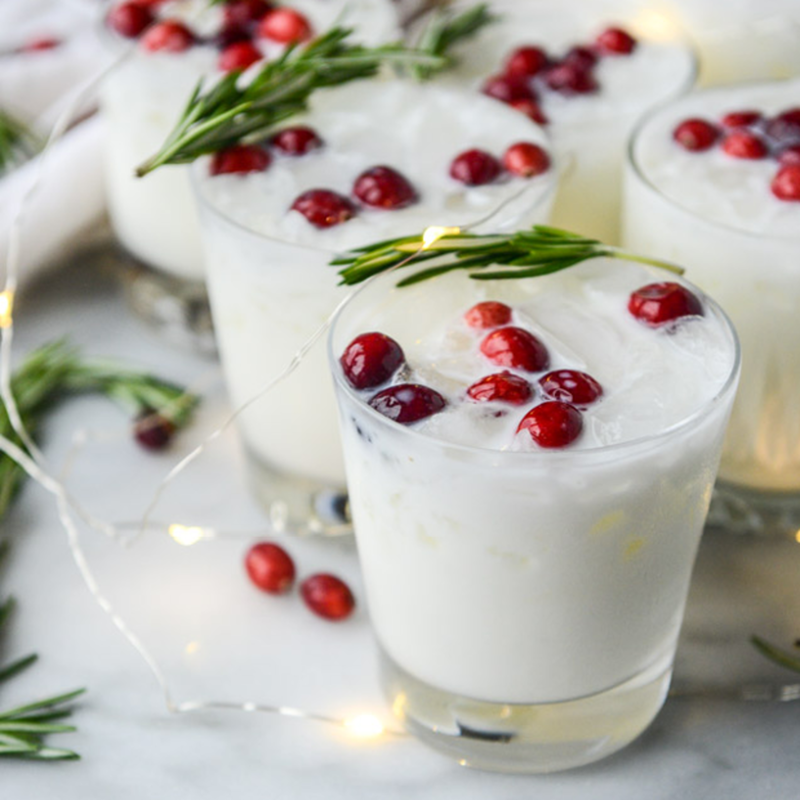 The white comes from rich coconut cream, while crimson cranberries and grassy rosemary make this tequila cocktail the right amount of festive—oceanside or not. 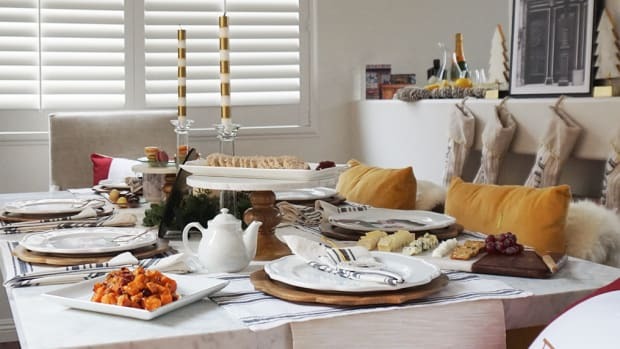 The only thing better than Christmas dinner? Christmas brunch, complete with this winterized paloma. 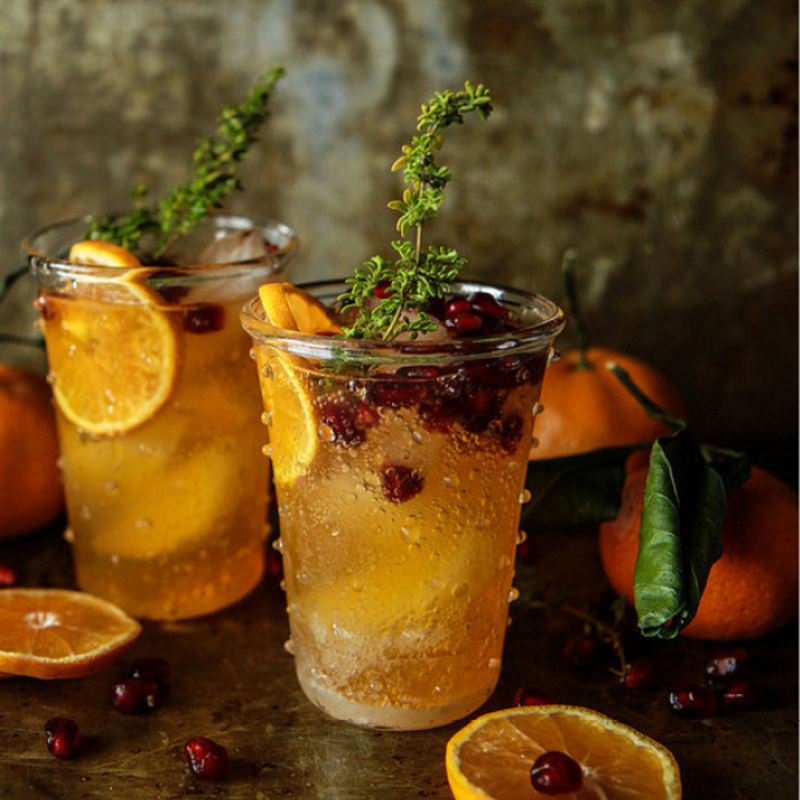 This recipe is so much better than a traditional paloma because it adds spicy and sparkly ginger beer. 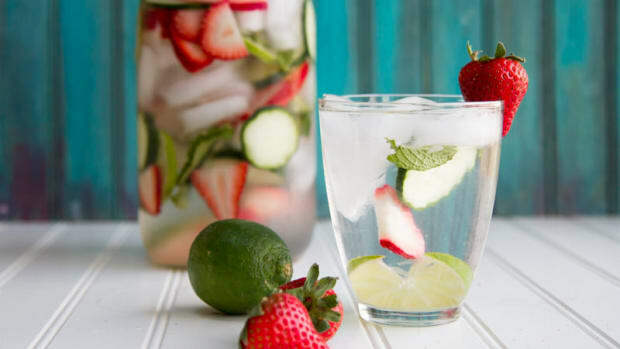 It’s fizzy, minty, gingery, and tequila-y, all in one. You’re welcome. 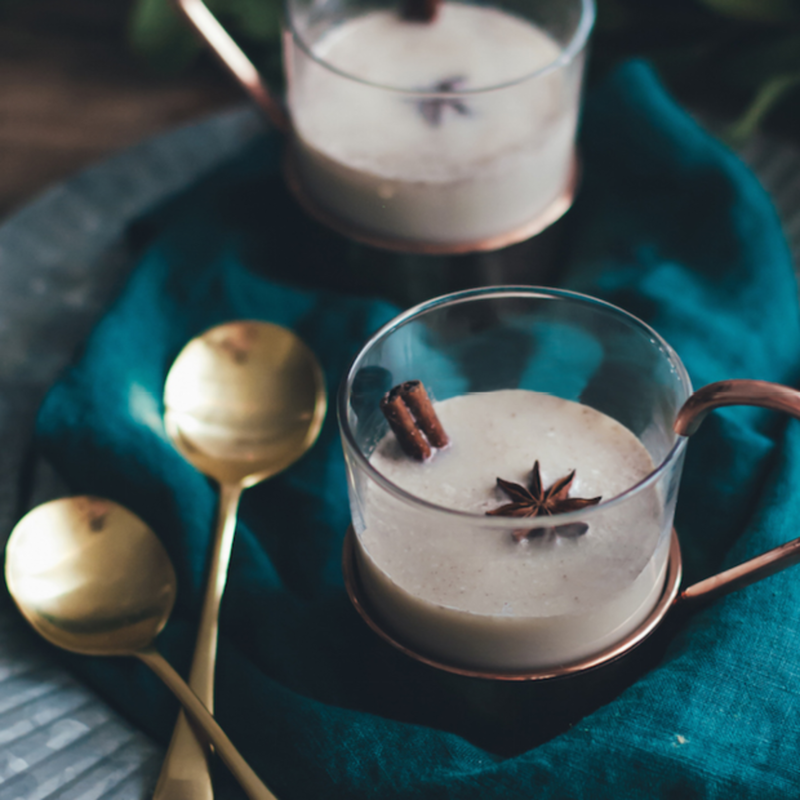 While searching for winter drinks to serve at an upcoming festive gathering, I kept coming across recipes for hot buttered rum, something I’ve never had before. 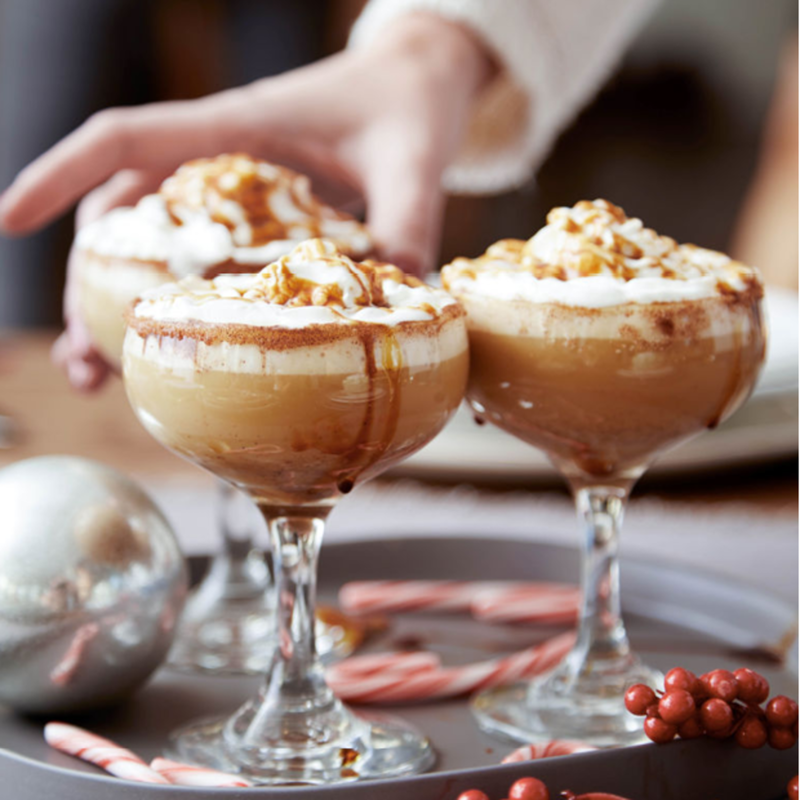 It turns out that it’s an indulgent must-try Christmas cocktail. 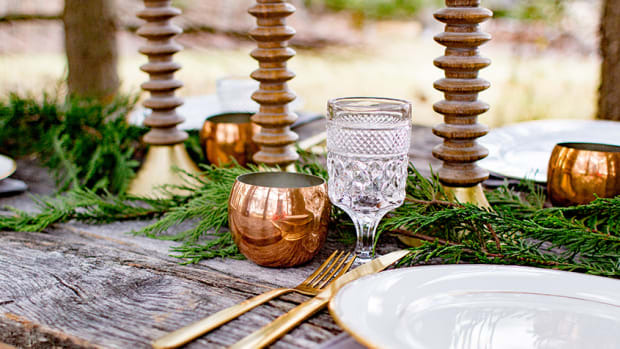 Cheers to something buttery, something new! Have you ever seen anything that looks as toasty?! I live in northern Indiana, so while a winter campfire is out of the question, cozying up with a blanket and a marshmallow-topped vodka and Bailey’s cocktail in front of our fireplace (while it’s 12 degrees outside) is a definite possibility. 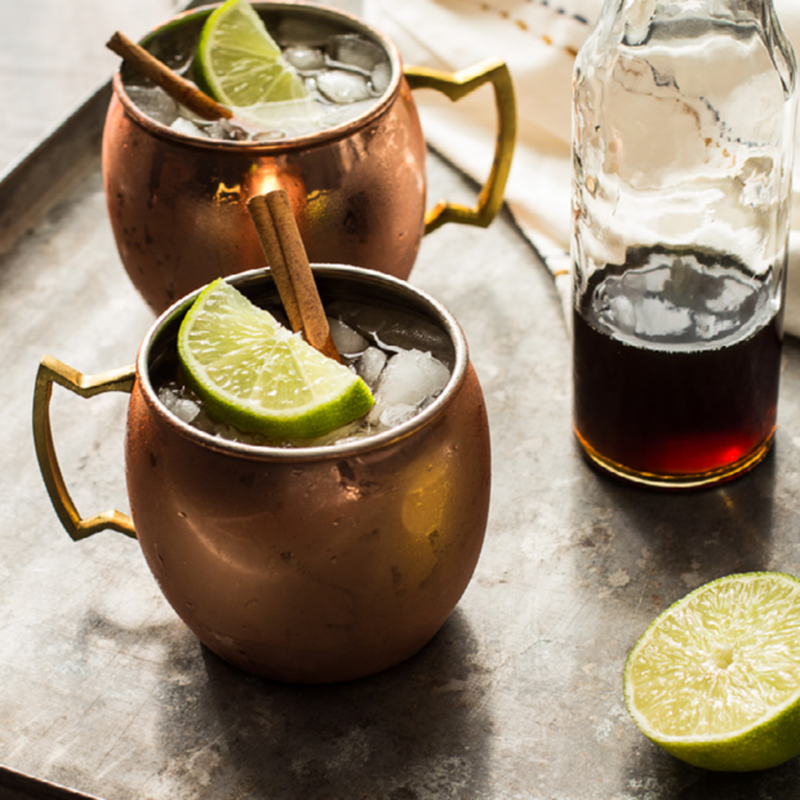 In summertime, Moscow mules are a weekly staple in my household. 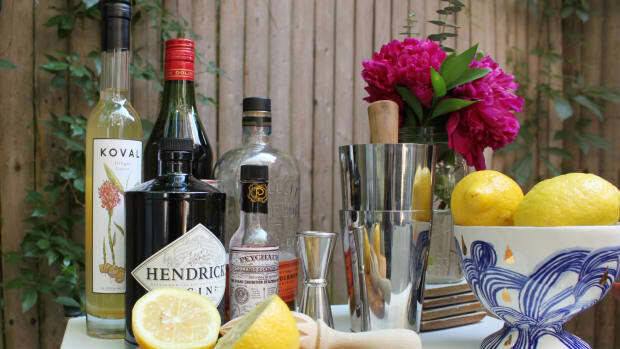 This recipe marvelously transforms my go-to drink into a season-appropriate one. It has Pimm’s No. 1, cinnamon simple syrup, ginger beer, and a lot of bourbon. 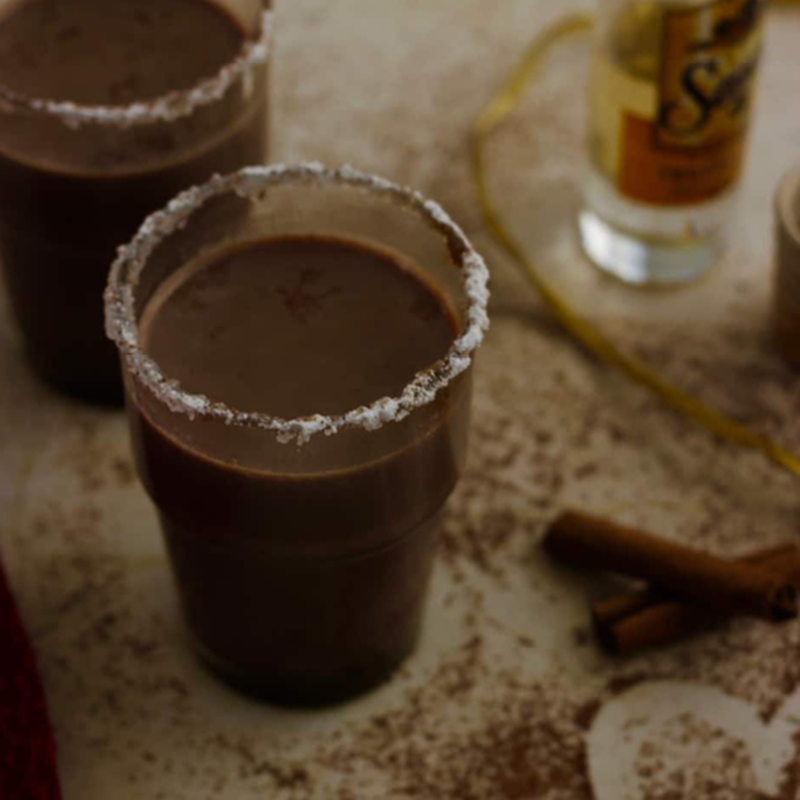 There are so many ways to do boozy hot chocolate, but I like that this one spices things up with chili powder and salt. 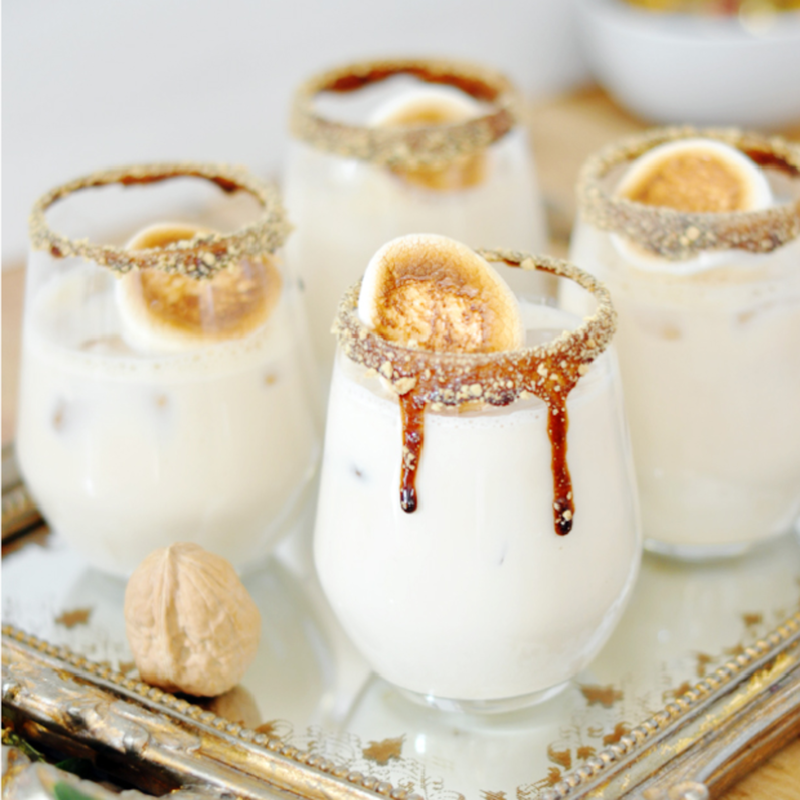 If you loved hot chocolate as a kid, you’ll like the grown-up version even more.